HTC has just announced the Desire 830 Smartphone and it has brought a sweet combination of features and specifications with it, though mainly produced for the Taiwanese Market. The phone replaces the Desire 820 in the company's mid-range offerings and is made from plastic. Audio lovers will be glad to know that BoomSound speakers are present and are on the top and bottom of the phone. Perfect sound - Loud and Clear! The Desire 830 measures 157.5 x 78.9 x 7.79 mm and has the sides, speakers as well as the camera ring in an accent colors. 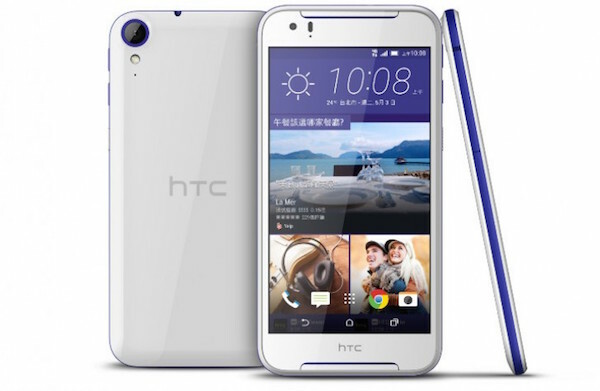 Currently, HTC offers the phone in blue and red colors. Regarding specs, the Desire 830 sports a MediaTek Helio X10 chipset with a 1.5GHz octa-core CPU, 3GB of RAM, 32GB of internal storage and a brilliant 5.5" 1080p Display. There's a memory card slot that supports up to 128GB microSD cards. The Desire 830 will go on sale in Taiwan on May 6 with a $310 (NT $9,990) price tag. While we're expecting HTC to expand the Desire 830's availability outside its home market, there's no official news of that happening just yet. HTC is really trying when it comes to manufacturing mid-range devices and we just hope to see more of this. Do you at all like the features and specs of the Desire 830? Are you planning to get one when it's available internationally? Let's hear from you!